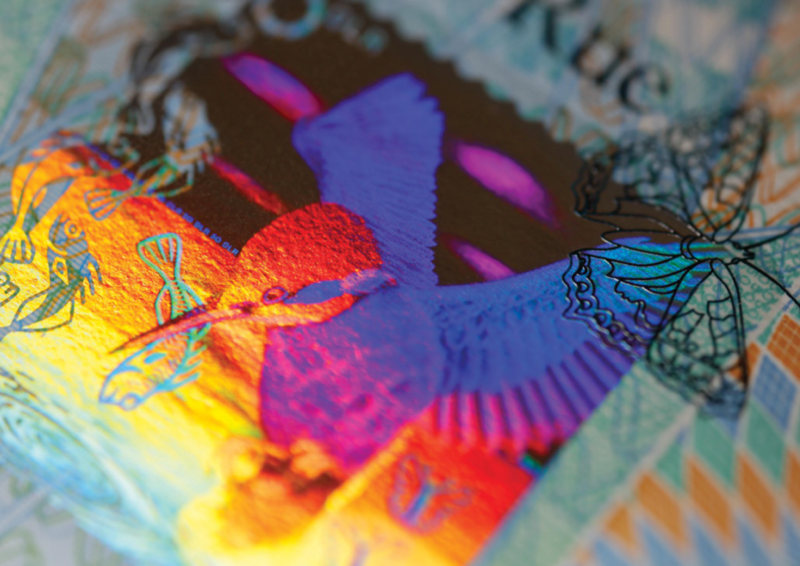 De La Rue has unrivalled experience worldwide in designing holograms for currency — over 25% of denominations with applied features originated with our De La Rue Holographics design team. This unique record of expertise, coupled with continual innovation in new effects and methods, allows our designers to responsibly and knowledgeably manipulate designs to create highly dynamic and secure features. Holographic design offers a wide range of features such as patches, stripes or holograms for polycarbonate and laminates. These allow us to deliver our world-leading design services across passports, identification and government documents as well as currency.